Milestones is a tabloid type newspaper published by the Philadelphia Corporation for Aging and distributed free in Philadelphia and downloadable online. It’s the usual party line pep talk stuff. Their November 2017 issue included an article about suicide. Here’s how I responded. I was appalled by your article on suicide among the elderly. Milestones reaches a large, diverse audience with a tabloid type newspaper. You have a rare opportunity to share accurate information and raise concerns. Instead, you present a simplistic view of a complex subject, in a way that could actually harm the very people you are targeting for help. (1) The article conflates suicide with depression. The truth is, not all suicidal people are depressed, and not all depressed people are suicidal. Yet following an opening paragraph on suicide, the article segues into a discussion of depression, without making this distinction. For many people, suicide can be viewed as a rational response to a diagnosis of Alzheimers or any other condition that removes the person’s opportunity to live pain-free and with dignity. Pain is not always responsive to treatment and side effects of medications can be so horrific as to take away all quality of life. The view of all suicide decisions as irrational is based on values, not medicine or science. Last year, the New York Times Magazine reported the suicide of Sandy Bem, a distinguished research psychologist diagnosed with Alzheimers. She was perfectly sane; she just wanted to avoid the miserable life that lay ahead. 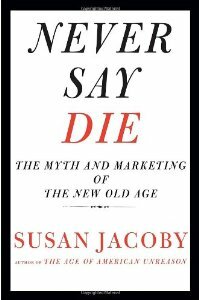 In her book Never Say Die, Susan Jacoby describes a man who could no longer live alone, after living in solitude for many years and valuing his privacy; he stole his caregiver’s car keys, drove to a bridge and jumped. She argues that he should have had easier access to death, not psychiatric treatment. To put this in context, at one point the CIA gave cyanide tablets to spy pilots who were in danger of crashing into POW camps. For many innocent elderly people, a nursing home will resemble a POW camp, but with no possibility of rescue and no opportunity to live a good life afterward. About 1/6 of nursing home residents are subject to abuse, and that’s a conservative estimate, omitting behaviors that deprive people of their peace and dignity; tying someone to a chair in front of a television set is considered normal. “Often” and “most” aren’t exactly scientific terms or precise quantifications. Often could mean 51% or even “not rare,” i.e., 10-30%. Why aren’t you quoting statistics, which are easily available on the Internet? Anything can be treated, but not all treatments have good outcomes. The truth is that only the most severe cases of depression respond to medications. There’s a strong placebo effect. Treating depression isn’t like giving someone aspirin for a headache; you have to work with the medications, trying one and then making modifications. Talk therapy has been indicated as more desirable for sadness associated with life events, such as bereavement. (3) The article suggests that older people avoid therapy because of the stigma. People who came of age in the sixties — who are now in their sixties and seventies — grew up with therapy. They know that therapists differ widely in skill and experience. And they can’t find the good ones, let alone pay the going rate. The New York Times has reported that only 55% of mental health professionals accept Medicare, compared to 86% of other medical professionals. Anyone seeking treatment faces an uphill battle to find a provider, let alone someone who’s competent and experienced with the relevant age group. Another NY Times article found that 27% of people with depression were not receiving treatment. At the same time, about 29% of those being treated for depression were not clinically depressed; they were receiving unnecessary, potentially harmful treatment. When readers get exposed to simplistic articles like this one, they may be tempted to push healthy people into treatment that’s at best a waste of time and at worst leading to side effects that would make anyone depressed. I personally know two people who presented with physical illness, yet were misdiagnosed as mentally ill, leaving them traumatized from receiving unnecessary treatment and suffering from delayed intervention in their genuine medical conditions. And according to Steven Hatch, MD, author of Snowball In A Blizzard, psychiatric diagnoses are prone to systematic flaws that can be summarized in one word: Rosenhan. Practical measures should include fighting to make assisted dying more widely available. We need more awareness of the difference between depression-related suicide and the desire to die with dignity. And if someone truly is depressed, they need access to competent professionals, instead of the bottom of the barrel therapists willing to accept Medicare. Simplistic articles like this one do a lot of harm. 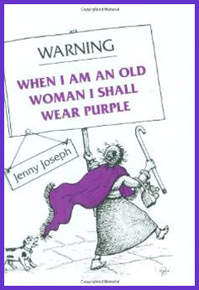 The elderly are abused because they’re not taken seriously. Many are depressed because there’s no place for them in society; that can be cured with a pill or a year of talk therapy. Writing in a simplistic tone about a complex, challenging situation can be viewed as dismissive, exacerbating the problem. I hope you’ll reconsider your editorial policy and start to do some good.